Those getting ready to visit Russia for the 2018 World Cup now have a chance to get a view from above. 12 stadiums in 11 cities have been captured on spectacular satellite images, gathered in RT’s Ruptly agency compilation. 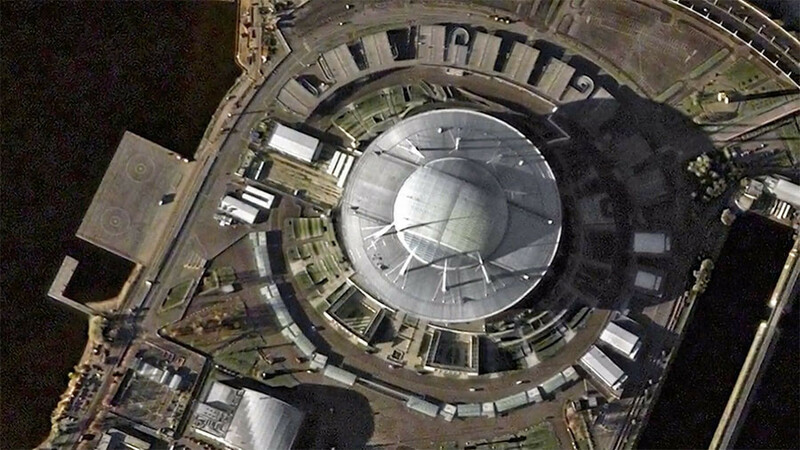 Satellite images show arenas, set to host the matches of this summer’s World Cup. Stylish Fisht Stadium on the Black Sea, riverside Kazan Arena with its water-lily roof and the main stadium of Luzhniki in Moscow can all be seen in the slideshow. With less than three months to go until the championship kicks off, half of the stadiums are ready, while the remaining ones will be commissioned by April-May, according to the chief executive of Russia 2018, Aleksey Sorokin. Moscow, St. Petersburg, Sochi, Kazan, Ekaterinburg, Nizhny Novgorod, Kaliningrad, Volgograd, Rostov-on-Don, Samara and Saransk will be greeting 32 nations coming to compete at the FIFA World Cup, held between June 14 and July 15.